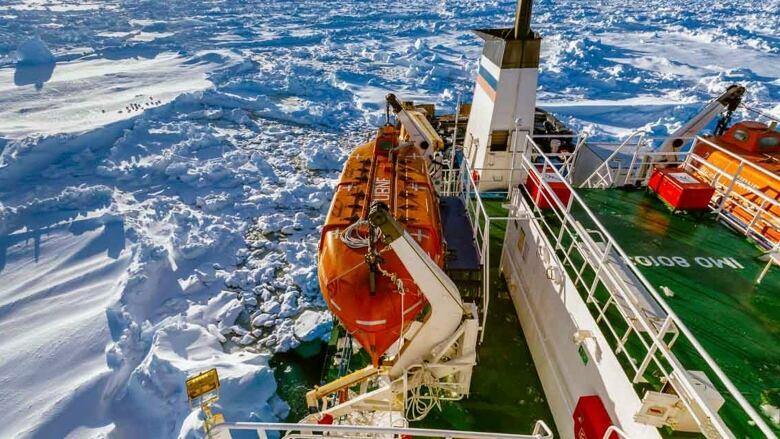 The Snow Dragon icebreaker came within 11 kilometres of the Russian ship MV Akademik Shokalskiy, which has been stuck since Christmas Eve, but had to retreat after the ice became too thick, said expedition spokesman Alvin Stone. Three icebreakers, including the Snow Dragon, have been trying to reach the ship since Wednesday. France's L'Astrolabe made it to the edge of the sea ice surrounding the ship on Saturday, but called off its mission after it, too, failed to break through, said Lisa Martin, spokesperson for the Australian Maritime Safety Authority, which is coordinating the rescue. The third icebreaker, Australia's Aurora Australis, has the best chance of cutting through the ice, and is expected to arrive on Sunday, Martin said. The Snow Dragon will remain in the area in case its help is needed. "I think we're probably looking at another 24 hours of twiddling our fingers and waiting for something to happen," said Stone, the expedition spokesperson. The scientific team on board the research ship — which left New Zealand on Nov. 28 — had been recreating Australian explorer Douglas Mawson's century-old voyage to Antarctica when it became trapped. They plan to continue their expedition after they are freed, expedition leader Chris Turney said. Passengers and crew initially had to contend with blizzard conditions, including winds up to 70 kilometres per hour, but the weather has calmed considerably since then, Turney said. Despite the interruption to the expedition, the scientists have continued their research while stuck, counting birds in the area and drilling through the ice surrounding the ship to photograph sea life. Those on board also managed to celebrate the holiday with a traditional Christmas feast and a "Secret Santa" gift exchange, which helped keep everyone's spirits high, Turney said.